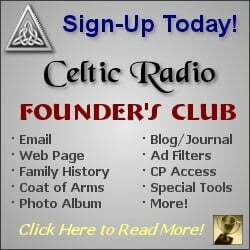 September 3, 2018 - CelticRadio.net - Charlie Allan, known for his work with Saor Patrol, is a full-rounded musician with a very eclectic background. Recently, he released one of his most ambitious recording efforts to date: Battle of Kings. This amazing release is not only a piece of music in itself: it actually fits into a much larger scope, and it is a part of a larger set of projects and initiative, touching on many different spheres. Charlie Allan explores a wide variety of industries, ranging from multi-media experience, to film, cinema and many more. For instance, he is attached to the acclaimed Netflix Movie, Outlaw King as well as a wide variety of other projects. One of the most intriguing recent initiatives led by Charlie Allan and Saor Patrol was definitely Duncarron Fort, a historic replica of a medieval village, located in Carron Valley, Scotland. The charming historical recreation site was recently visited by famed Australian movie star Russell Crowe, who also happens to be a personal friend of Charlie Allan as well! The pair have been friends for quite a long time. In fact, they met on the set of one of Russell Crowes most high profile big-budget films: The Gladiator. The successful film, also starring celebrity actors such as Joaquin Phoenix, went on to gain popularity on a global scale. Charlie Allan, who also starred in the film as a ruthless Barbarian King, immediately bonded with Crow, and the two have now been friends for well over a decade. Crowe has been supporting the Duncarron Fort project for quite a while now, donating a distinctive prop from his Robin Hood flick earlier in 2009, as well as raising awareness through social media platforms such as Twitter, where the actor introduced Duncarron to over 200,000 followers. In addition to the amazing, educational and historical value of this recreated settlement, the location could also become a perfect platform for certain movie shoots. Charlie Allan is also busy with his aforementioned group, Saor Patrol, who are now considered one of the foremost acts on the Scottish Celtic rock scene. The bands new album, Battle of Kings has been received quite well by the media and the audience. Combining the abrasive edge of rock music with the timeless nuances of Celtic Folk, Saor Patrol set out to generate a huge following, one release at a time. Their most recent studio effort is punchy and groundbreaking, leaning heavily towards the rock sound of the band. 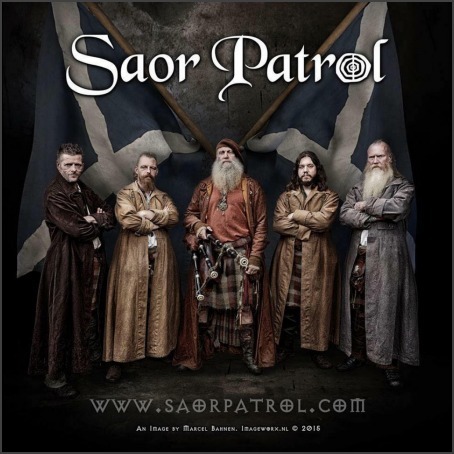 Gibson Les Pauls and traditional Scottish bagpipes might feel like a rather bizarre combination, but Saor Patrol knows how to make it work perfectly, creating music that bridges the gaps between different genres, in a very spontaneous and unapologetic way. In addition to the buzz surrounding the bands new album, Charlie has also been busy with Outlaw King, a movie that can be viewed by Netflix audiences this fall. The film, which will soon be available on the increasing popular streaming platform, also features actor Chris Pine as a leading man (primarily known for his work on the Star Trek franchise). The movie is a bona fide period drama, which traces the steps of Robert The Bruces battle on a quest to take back control, after being exiled and turned into an outlaw by the King of England. The movie is a prime example of action and adventure, along with being a well-produced historical drama. This exciting release is set to become one of the most highly anticipated original productions on Netflix this year, and the audiences excitement is noticeably high for this particular project. Yes, This is definitely a good year for Charlie Allan and Saor Patrol. 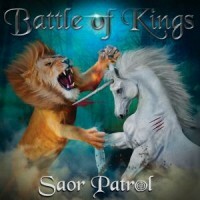 Check out their new album Battle of Kings inspired by Outlaw King and Robert the Bruce. 5 Stars from Celtic Radio!